The Old Lighthouse is an Historic Grade 11 building, listed in 1992 by Shepway District Council, recently celebrating its centenary. Opened with great ceremony by His Royal Majesty the Prince of Wales in 1904 after a 3 year build, it survived two world wars before decommission in 1960. For 56 years it provided a welcome landlight to vessels negotiating the perils of the English Channel. 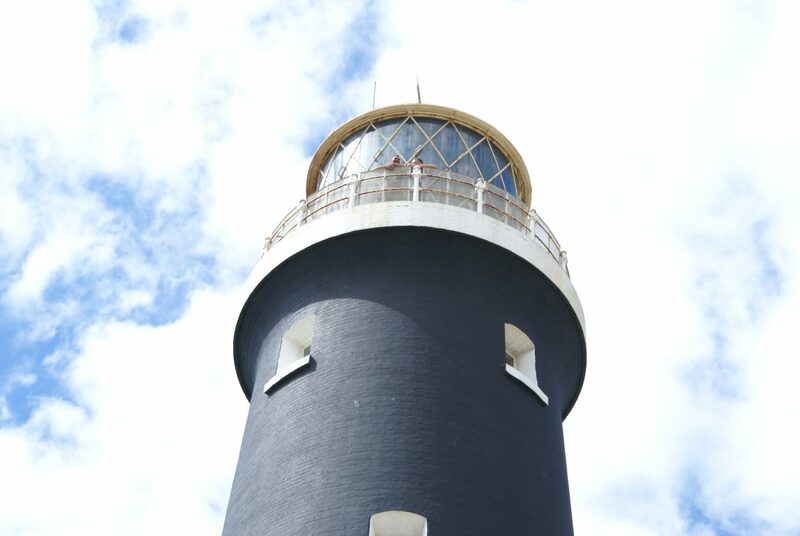 The Lighthouse features in Nickolaus Pevsner's "Buildings of Kent". This imposing building is almost 46 metres high to the top of the weather vane, 11 metres in diameter and constructed of engineering bricks with sandstone inner walls. Over three million bricks were used to build the structure. Internally there are a series of mezzanine floors made of slate and supported by steel beams and massive rivets. Each floor is linked by circular concrete stairs which hug the walls and have decorative wrought iron banisters. There are cambered casement viewing windows on all floors. See our opening times and find the latest information before you leave. Check out our gallery featuring the Old Lighthouse and surrounding area. 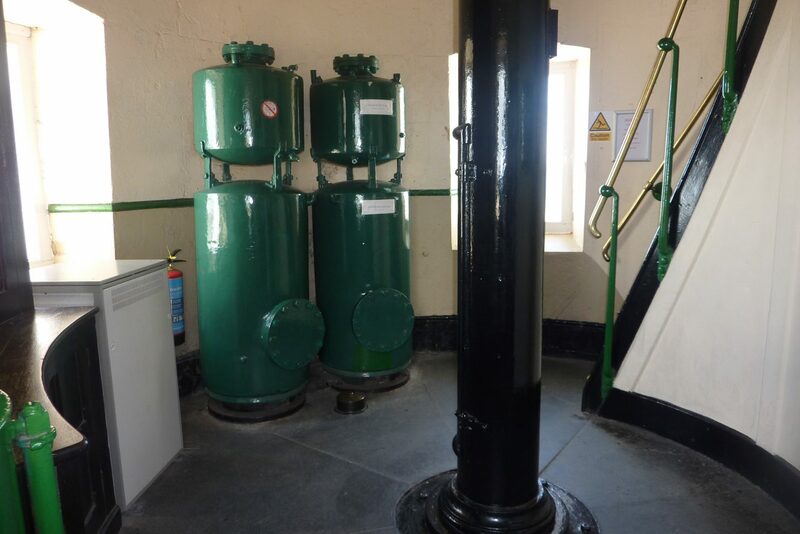 The Old Lighthouse will remain open daily till Sunday 16 September and then Weekends only.10.30am to last entry at 4pm. Weekends only and daily for the schools half term at the end of the month. 10.30 to last entry at 4pm. This year we will open weekends .10.30am to last entry at 3pm. 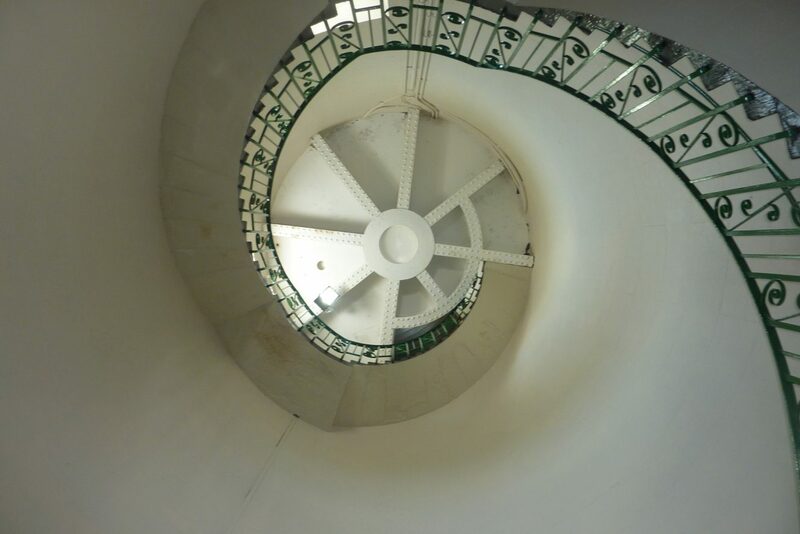 Climb the tower for panoramic aspects over the English Channel and the surrounding countryside. Binoculars are well worth bringing. 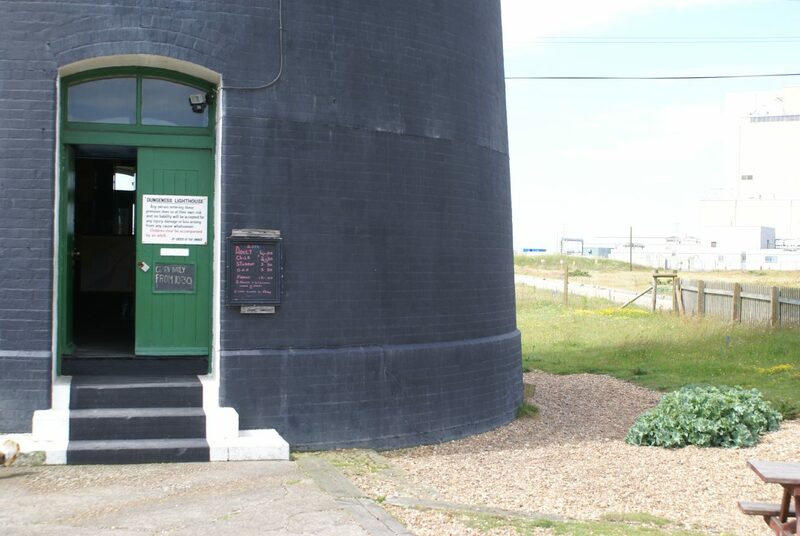 Dungeness Lighthouse offers unique and perfect views over the 500 cuspate shingle ridges that have formed the foreland, one of the largest in the world and the greatest example in the UK. 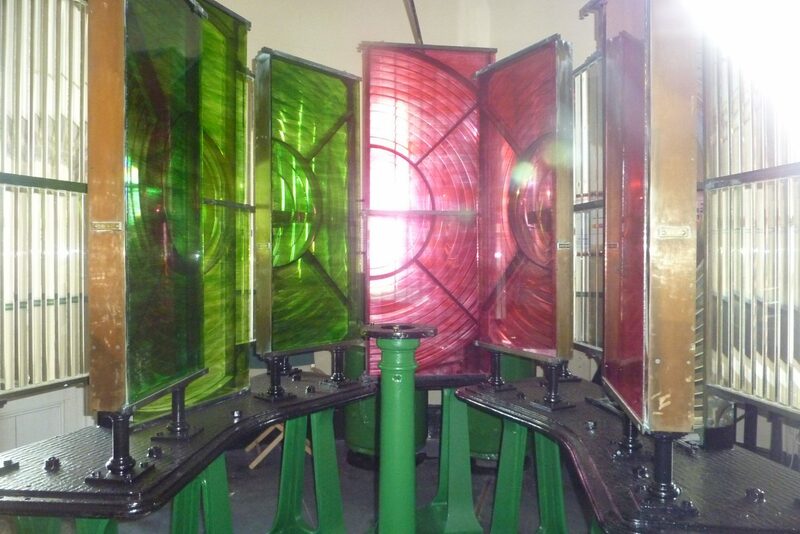 Learn how a Lighthouse works, and all about the men who used to operate it. 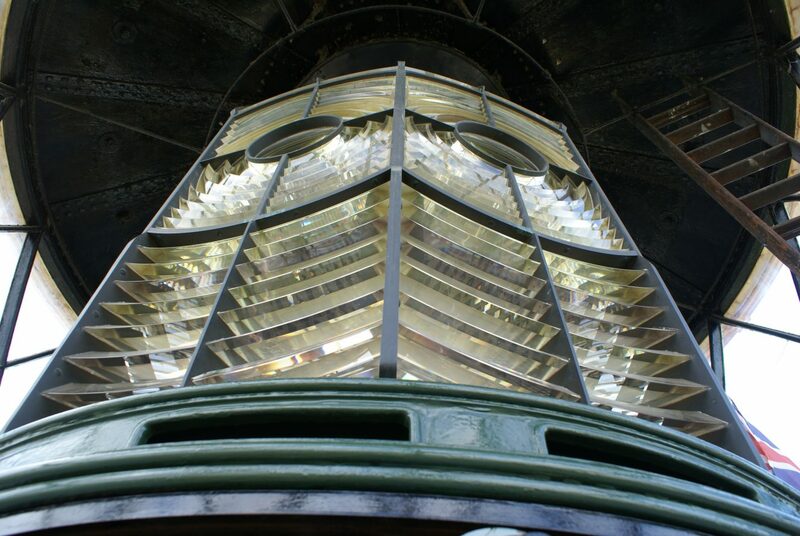 View the Great Lens and the Sector Light. Reward yourself or your family with a certificate of a successful ascent. Admire the inspired industrial Victorian architecture of the distinctive black and white Tower, the Landmark of Dungeness. Whilst you are here enjoy local trails and walks to the beach, the RSPB Nature Reserve and the Lifeboat station. Cottages adapted from old railway carriages are a distinctive and picturesque feature of the area. There are numerous rare invertebrates and protected wild plant species amongst the shingle. Experience the magic of timeless Dungeness. Discover why the Ness is so popular with Art Directors and has featured it so many films and fashion shoots. 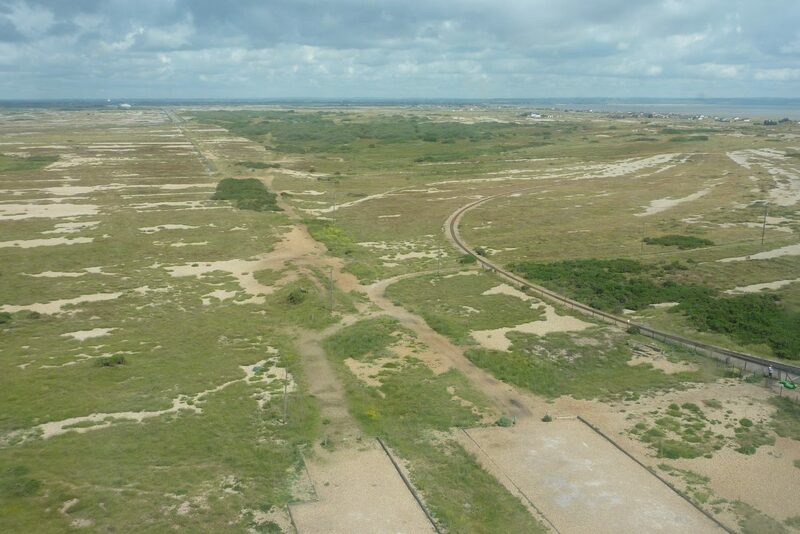 Adjacent to Lighthouse is Dungeness Station, the final stop of the famous Romney, Hythe & Dymchurch Light Railway re-opened after WW11 in 1947 by Hollywood Stars Stan Laurel and Oliver Hardy. The Railway runs a regular service through from Hythe for most of the year. Ample free car parking adjacent to site. Café, restaurant and local public house within a few minutes walk. Local books, charts and postcards are available in our shop. Take the A259 towards New Romney. At the roundabout turn right. After 4 miles turn right onto the B2075 sign posted for Lydd. Immediately after the bridge take left hand fork. Turn left at roundabout onto Dungeness Rd. 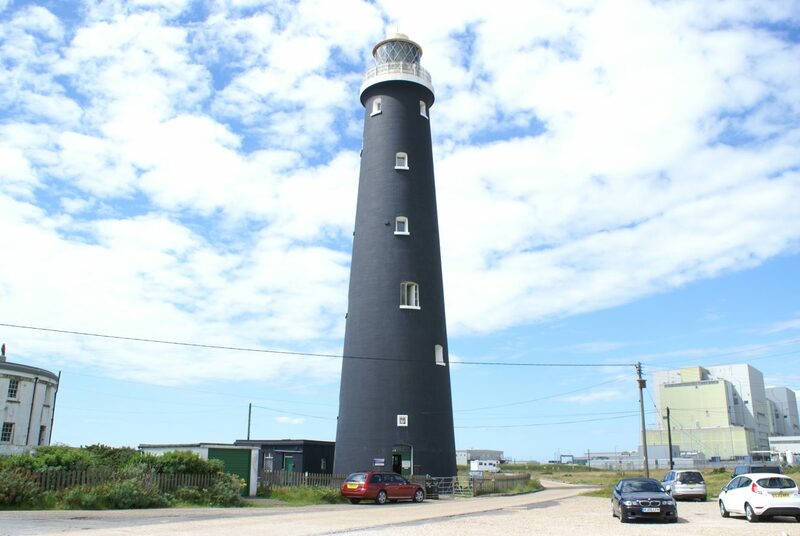 Continue for 4 miles, turn right into Dungeness and the Old Lighthouse is at the end of the road. Follow the A259 and turn left at New Romney traffic lights onto the B2071 (Station Rd). At the T junction turn right. Follow the road for 5 miles, past the Pilot Inn. Turn left into Dungeness and the Old Lighthouse is at the end of the road. Take junction 10 onto the A2070 towards Brenzett & Lydd airport. After 12 miles, turn left at the roundabout & join the A259. After 4 miles turn right onto the B2075 sign posted for Lydd. Immediately after bridge, take left hand fork. Turn left at roundabout onto Dungeness Rd. Continue for 4 miles. Turn right into Dungeness and the Old Lighthouse is at the end of the road.